Every year around this time I look back through my calendar to see what actually happened in the blur of activity that I usually find myself in. Most years are full and 2018 was no exception. It began with receiving the Spirit of Windrider Award at the Sundance Film Festival. Being presented the award by my friend and mentor Mako Fujimura was a special moment. My musical collaborations continued, with performances in Boise, ID as part of a residency at Surel’s Place, and in Miami, FL, as part of the classical musicians concert for YoungArts week MIAMI. HollerJake also dropped their first album!! The seeds were planted for some new projects with time well spent at Eric Berlow’s Swall Institute, and new projects came to life like this collaboration with fiddler Evie Andrus. Teaching has always been an important part of my work and 2018 was packed with it. Worldwide festivals included Stockholm, Barcelona, and the inaugural Show Me Tap Fest in St. Louis, where the Tap Legacy Exhibit also was displayed. 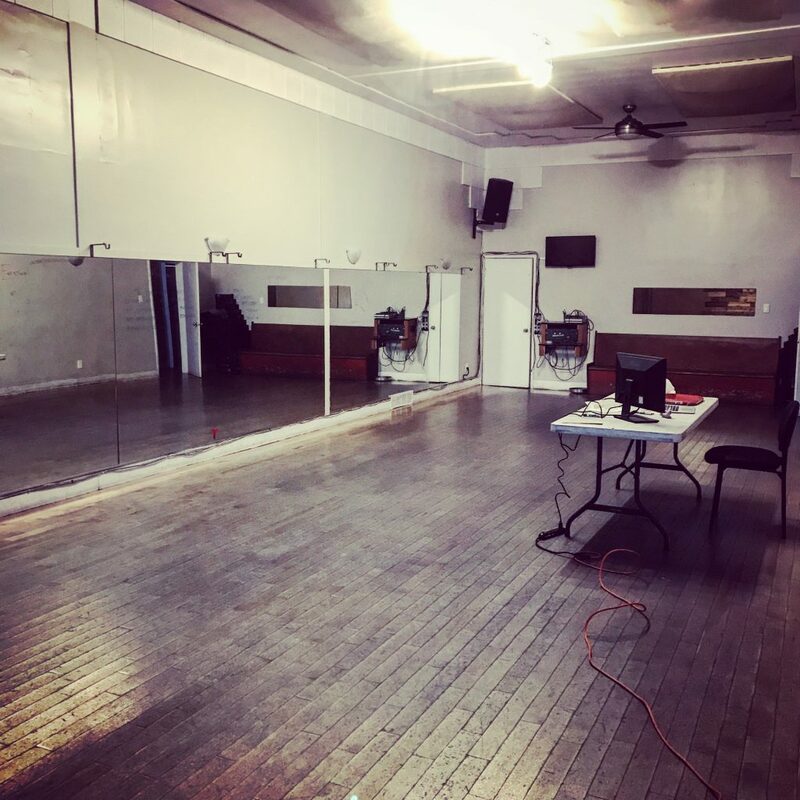 I was excited to return to Betsy Daily School of the Performing Arts for a series of Studio Workshops, and continue my journey in the lindy hop world with stints at Stompology and Swing Out New Hampshire. Of course, the Tap Dance Freedom intensive ran in NYC, and was an absolute blast. I was also invited back to the newly branded REFLECT Conference (previously the Creative Church Conference, Boise, ID), where this amazing collaborations with fine artist Amandalynn Lovewell and composer Justin Nielsen came to life. But the biggest news came towards the end of the year. That’s when I sign up to become the Artistic Director of the Vancouver Tap Dance Society. I’ve since been spending the majority of my time in Vancouver, while continuing to travel to perform, speak, and teach. And before the year was out, I landed back at Carnegie Hall with Keith and Kristyn Getty, and got to perform at the newly opened Birdland Theater with the Tony Award nominee Tony Yazbeck. Indeed, 2018 was full, and 2019 looks to be shaping up to be as well. This journey has been a blast so far, I’m excited to see where it will lead. Wishing each of you the fullness that brings joy, growth, and peace in every day. As always, read my daily notes here, check out all the news here, all the upcoming events on my calendar, and find me on facebook, twitter, or instagram.